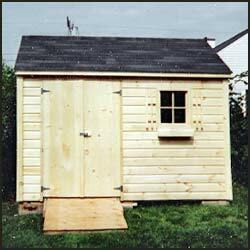 View our price list and see photos of sheds we've built. Family owned and operated business, started in 1997. We live by high standards and quality merchandise to satisfy our customer’s needs. We operate in a professional and hassle free manor to give you want you want. Property Owner is fully responsible for all permits and set backs from property lines. Materials are subject to change without notice at manufacturer's discretion. "We are very satisfied with our shed, which we purchased from Larochelle Sheds around five years ago. We had looked around at sheds that were available at other businesses, but we were highly impressed with the workmanship that we found in the sheds built by the Larochelle's. 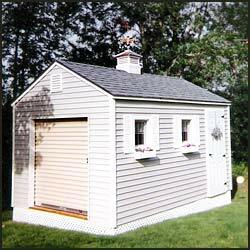 We like the fact that Larochelle Sheds is a family owned and operated business. 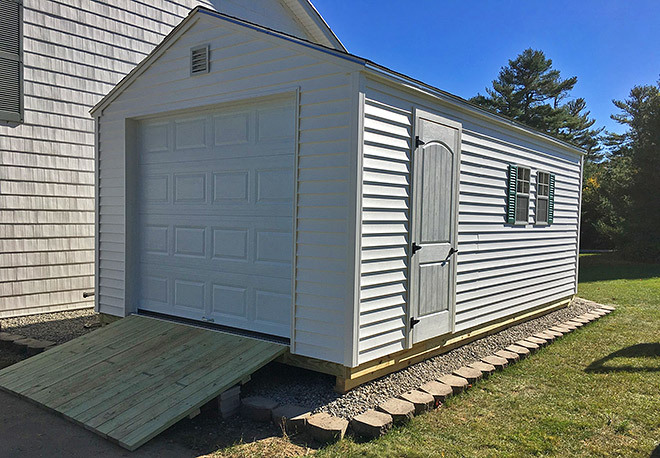 They take pride in their work, which is very evident when looking at the end product and they focused on ensuring that the shed that we were purchasing was built specific to our needs." Need Storage Space in Southern Maine? Check Out All Secure Self Storage, right next door to Larochelle & Sons Sheds for all your self storage needs. With proper maintenance, Larochelle & Sons warranties your building to maintain structural integrity for years to come and expects your building to last a full lifetime and longer. This warranty does not include doors and windows (for obvious reasons) or any building that has been altered in any way. The roof shingles are warranted for 25 years against leakage (natural disasters, accidents and neglect are excluded). Larochelle & Sons give no other guarantee expressed or implied.